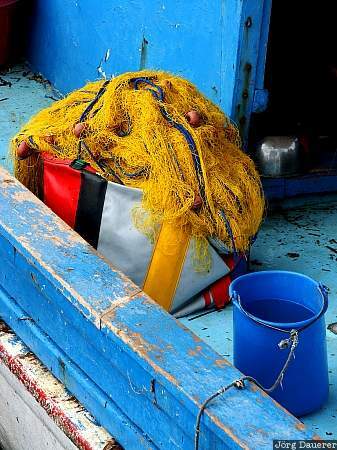 A fishing net in the harbor of Latsi in the far west of the mediterranean island of Cyprus. This photo was taken in the morning of a sunny day in April 2003. This photo is part of the exhibition The color Blue (June 2011). This photo was taken with a digital camera.